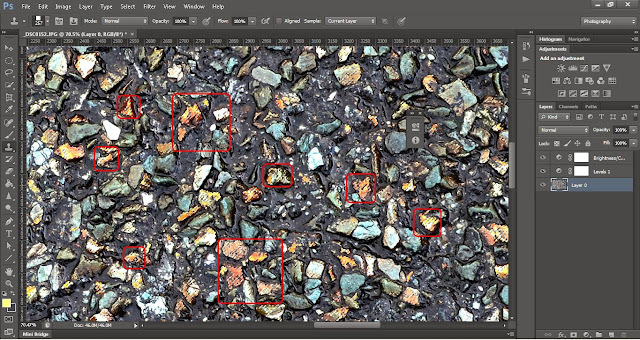 4.Color Adjustments and making selection with Color Range Tool. If you are not happy with color of tarmac texture, I mean the yellow and red stones in it you can simply change it with very useful Color Range Tool. You can find it in the SELECT TOOLBAR in Photoshop. 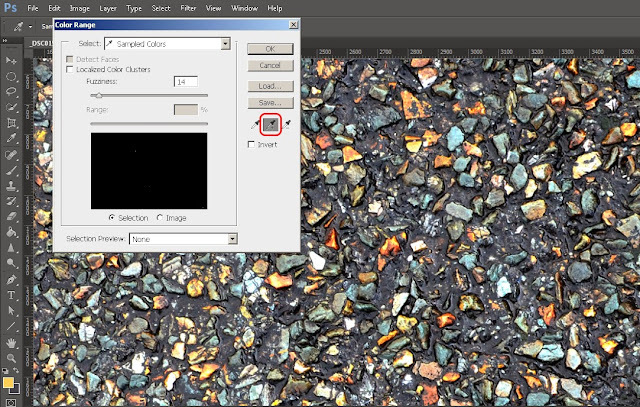 I find this tool very helpful and I really use it a lot. So it is important to play with it and practice as much as you can. By choosing 'Select by Color Range...' you will be able to separate-select colors that you want to get rid of. At this time we will use Add To Sample tool. Carefully click on yellow an red colors in the picture, but remember that there are many different shades of that colors so take your time. 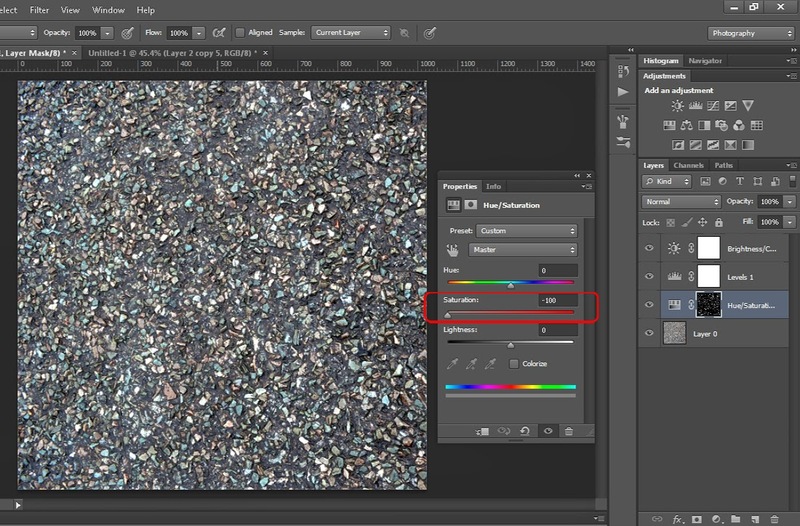 If you choose some other colors by mistake you can remove them with Substract From Sample tool witch is right beside it. When you're done click OK and you should see your selection. 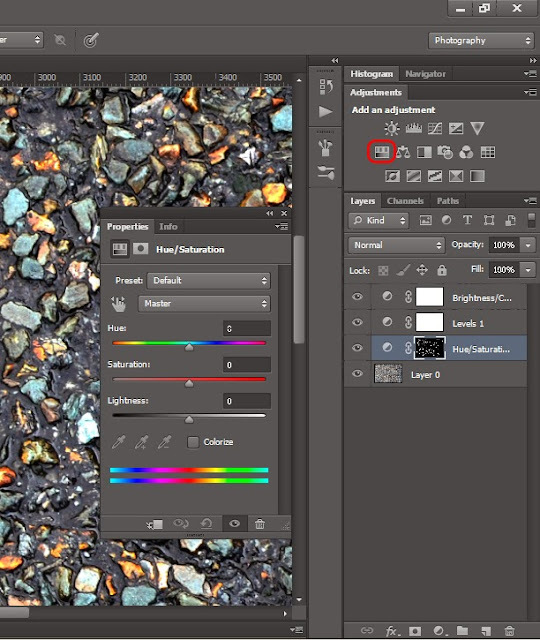 When you have your selection ready you can add Hue&Saturation Adjustment Layer. It will only apply to your selection, so it will be created with Layer Mask. 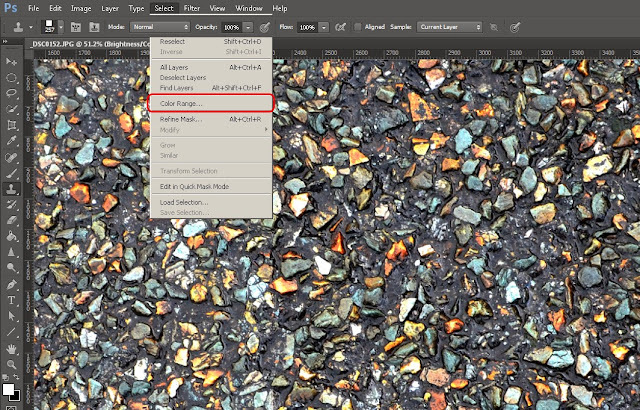 If you haven't work with Layer Masks yet, know that they are one of the main feature in Photoshop and we will use them in almost every step of our work. I will dig into 'Masking Layers' in further posts. By now you should be able to decrease saturation of selection to '0' so all unwanted colors will be gone. You can FREE DOWNLOAD sample file below.